Feeling all loved up this Valentine's day? If you're looking to find the best price and the best route for your next flight, all you need is a web browser and a little know-how. Here we'll give you some pointers for finding your way through all the different options to bag the best possible deal. What makes Kayak.com stand out is its simplicity and its comprehensiveness. Enter your starting point and destination, plus preferred dates and ticket type, and the site does the rest - it will even run your query through competing comparison sites if you like. All of the major airlines and many smaller ones are included and as an added bonus Kayak.com can even run a search for hotels for you as well. We also like the freeform search option that lets you see where in the world you can go on a specific budget. You can easily filter variables such as luggage allowance and flight times, as well as get straight to bookings and payments through the app. Don't panic if you're completely unprepared or need to travel at a moment's notice, because the flight search at Lastminute.com has you covered. As its URL suggests, the site is geared towards finding deals in the shortest possible time frame, and the good news is airlines want to fill up their planes. Lastminute.com will search through over 350 providers for you and you can even look for flights leaving the same day as you make your booking if you need to. The results pages have some very useful filtering options to narrow down prices and travel options (such as direct flights) and you can be on your way to the airport in minutes. If you're looking to root out the very cheapest deals for your next flight then Skyscanner.net is certainly worth bookmarking. Again you start off with a very simple search page, but there are some useful features here - like the option to search for a multi-city route or to scan for nearby airports if they offer better deals. The site's monthly search tool is a great help, letting you quickly scan the calendar and see the price for each day - it shows you exactly when the cheapest flights can be had, and you can then click through to book. Even when you search for specific dates, the cheapest possible deals are clearly labelled. There are plenty of flight comparison sites to choose from, but whichever one you opt for, remember these simple tips as you book. Most of us will be looking for the cheapest possible deal but be sure to weigh up other factors too, like luggage allowance and where the airport's located. If you're flying into a remote runway miles out of the town you're visiting then all the money you've saved might get spent on buses, trams and taxis to take you to your hotel and back again. 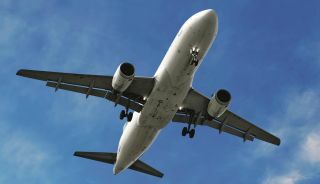 Airline flight prices are calculated using all kinds of factors, and while you might not be able to understand the algorithms at work, you can at least keep an eye on prices as they go up or down. As a very rough guide, a couple of months out is often said to be the sweet spot, but this can vary depending on where you're going and the time of year. These days a lot of flight comparison sites (and indeed comparison sites in general) log cookies and trackers in your browser so you don't have to type in the same search again and again. This can also affect the prices you see though - open up an incognito or private browser window and run the same search to see if better deals show up. We can't always be flexible with our travel plans but it can save you a lot of money - travelling in the middle of the week or during off-peak 'shoulder' seasons (just as spring turns to summer or summer turns to autumn) means much lower prices in many cases. A lot of flight booking sites let you run broad searches to compare different dates. Trawling through flight comparison sites isn't always a lot of fun (but if you enjoy it, good luck to you). You can save yourself some time and effort by signing up for email alerts from your favourite sites, which will often include deals you might not otherwise have found. Following these sites on Facebook and Twitter is another way of spotting deals first. In-flight Wi-Fi: where is it and why is it taking so long?